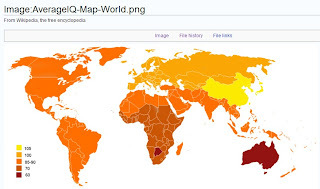 This IQ map from Wikipedia. China and Japan have the greatest IQ average with Russia following second and Americas third. Do you believe that?